Happy Monday everyone! Hope everyone had a great weekend, mine was filled with lots of work and a teeny tiny bit of fun yesterday. Took the morning off to go apple picking at an awesome orchard in Western New Jersey - Melick's Town Farm then it was back to work! 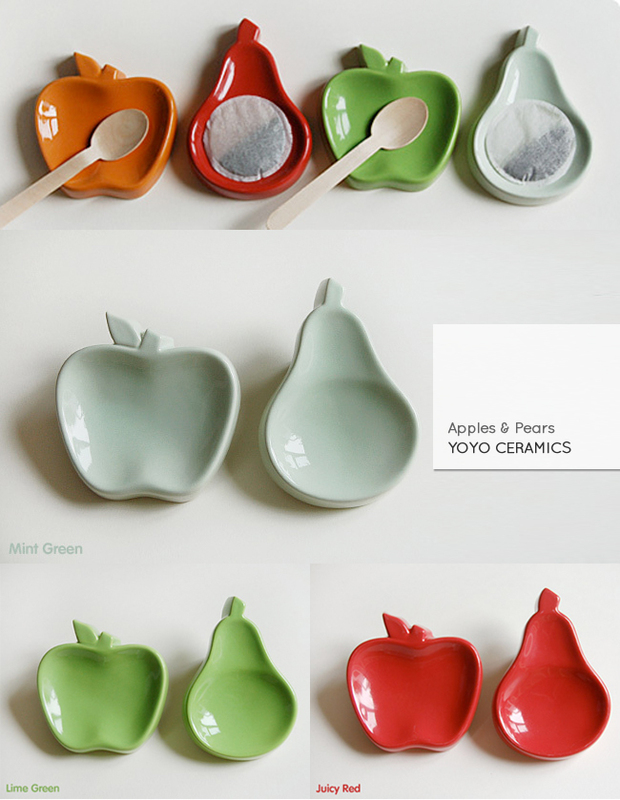 I'm not sure whether it's the fruit shape or the yummy colors, but I love these multipurpose kitchen tidy pieces by Yoyo Ceramics! These are so cute and so glad you went apple picking yesterday! So fun! ooh the lime green is very nice, you always have such great picks! These little dishes are wonderful, what a great idea. I'm always looking for somewhere to lay down my tea bag.